Tibetan chess is a game like weiqi (also called a game of go or go chess). The chess board is a square of 17×17 parallel lines and chess pieces are black and white. In ancient times, mostly upper and middle ruling classes could play it. But for now, it is very popular among the general public. Although there are many similarities between Tibetan chess and weiqi, Tibetan chess has own uniqueness. For example, there is no handicap game. If the strength of the two sides is too different, it uses komi to decide on the exact number of both sides in advance. Another feature is the base system of placing chess pieces before the moves, which is similar with ancient weiqi. 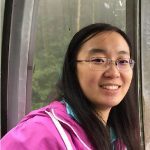 However, modern weiqi abolishes the base rule. As for the origin of Tibetan chess, there are mainly four versions. First, Qiang ethnic people living in Sichuan and Qinghai brought it in during Han Dynasty. Second, Buddhism culture brought it in from Ancient India during Han Dynasty. Third, Tibetan people created the game by themselves. Fourth, Zhuge Liang brought it in from Yunnan area in Three Kingdoms Period. He also increased the number of bases from four to eight. Additionally, he created the rule of verbal battle based on the custom of singing antiphonal songs in Yunnan area. Among them, the first and fourth version have larger possibilities. 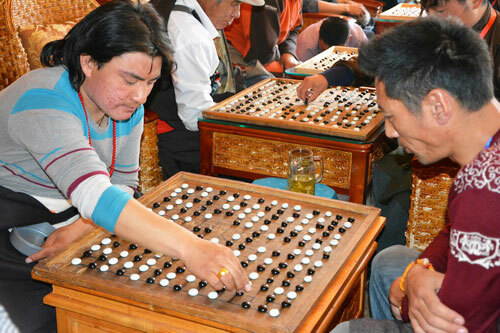 If you travel to Tibet, take the chance to know more about Tibetan chess. You can ask local people or our local tour guide about that. As a Lhasa based Tibetan travel agency, we provide Tibet cultural theme tours . You may contact us TibetTravelExpert (www.tibettravelexpert.com) for more information.